On main roads, you can get speeds down by narrowing – there’s enough traffic to help break up sightlines. On residential streets, you can switch parking from side-to-side, or use build-outs on both sides. On in-between roads, there’s only so many speed cushions you can put in, and sometimes a bit of extra signage is required. 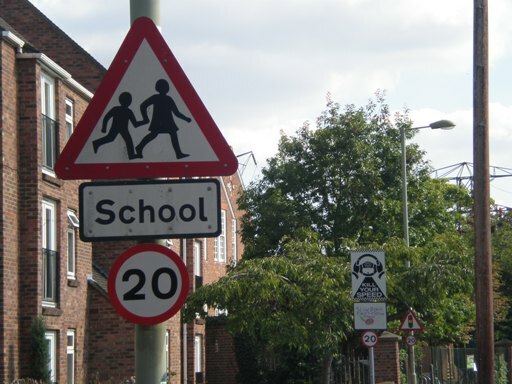 Slowly but surely, people are getting the message – 20mph is fast enough in towns.